A Daily Dose of K-Screen: [Editorial] Love Is In The Air for Korean Celebrity Couples! [Editorial] Love Is In The Air for Korean Celebrity Couples! Good God, these beautiful k-drama actors and actresses are really living their k-drama life, don’t they? The dating news of Kim Woo Bin and Shin Min Ah convinced me that the Hallyu actors and actresses are not only having a beautiful story on screen only, but also off screen! “Holy crap” is the first reaction coming out of my month when I spotted the dating news of these two magnificent creatures. 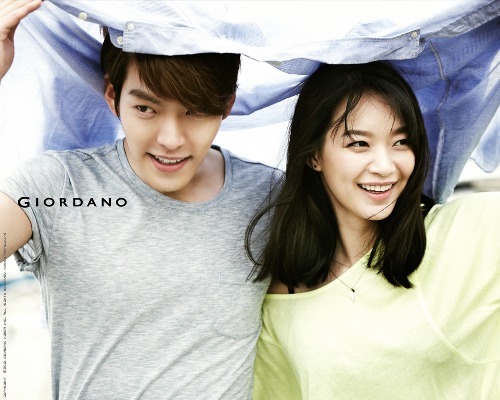 I mean, come on, it’s Kim Woo Bin and Shin Min Ah! Kim Woo Bin and Shin Min Ah everybody!! The man whose chest girls want to cry on and the girl whose smile man want to stare for an infinite time. And now, these two are in a RELATIONSHIP! A ROMANTIC RELATIONSHIP! It’s a lie if I say that I instantly happy for both of them when I read the news. There’s a little bit of jealousy and a oh-no-kimwoobin-is-in-a-relationship feeling going across my mind (and heart) the minute I saw the news. But after reading their story and remembering how cute and lovable Shin Min Ah is on Running Man and Arang and the Magistrate, I decided to give my blessing (as Kim Woo Bin’s diehard fan) to them. It was no other than Dispatch who broke the dating news of these flawless human beings out to the world. 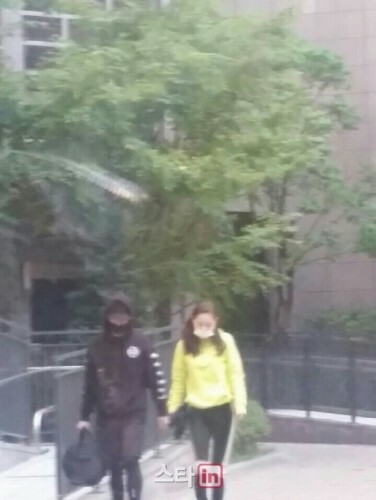 The media caught Kim Woo Bin and Shin Min Ah during their secret dates. 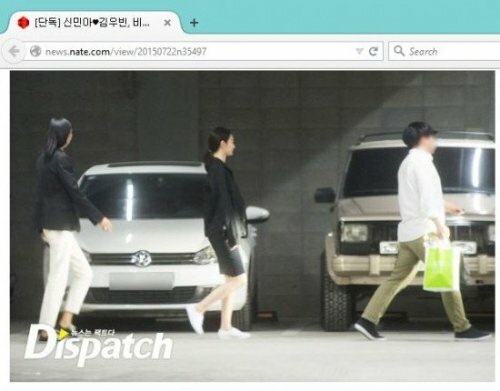 Even though there is no prove of a love-dovey manner during their date, I believe that these two are still in that honeymoon phase since based on Dispatch’s report, the two started their relationship in May. 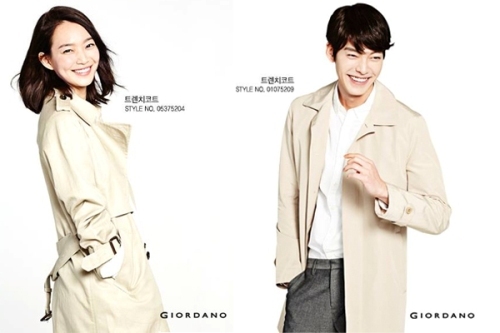 Anyway, as all the media have reported, the two developed feelings for each other after became the endorsement models for fashion brand Giordano. The five year-age gap – Shin Min Ah is 31 year old while Kim Woo Bin is 26 year old – looks to not cause a problem for these lovebirds. I remember that I once read an article that said Kim Woo Bin prefers older woman as his ideal type. The fact that Kim Woo Bin’s sugary manner for Shin Min Ah in which he push back his own schedule to make it easier for his Woman and pick her up for dates proved that he’s the man of his word. How the two started their relationship is funny, though. Since it is similar to how Kim Woo Bin started his relationship with his previous significant other. Looking back at Kim Woo Bin’s history, this is not the first time he’s involved in noona romance. 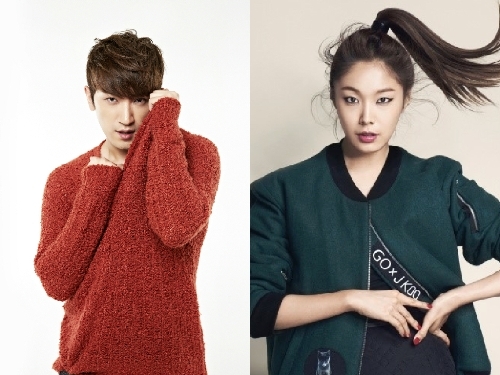 His previous girlfriend, model Yoo Ji Ahn, is one year older than him. What’s more interesting is that the two developed feelings for each other after met in a magazine photo shoot, just like how Woo Bin developed his feeling for Shin Min Ah. But anyway, regardless of Kim Woo Bin’s preferences for older woman and how he likes to romance his model partner in a photo shoot, I wish the best for these two fancy faces. I hope they will be one of those long lasting-celebrity couples and probably getting married and have beautiful children (of course!). Oh and speaking of which, Kim Woo Bin and Shin Min Ah couple is not the first celebrity couple who come clean about their relationship to the public. Prior to them, a number of celebrities have conveyed their “off screen” romance unintentional and intentionally to the world. 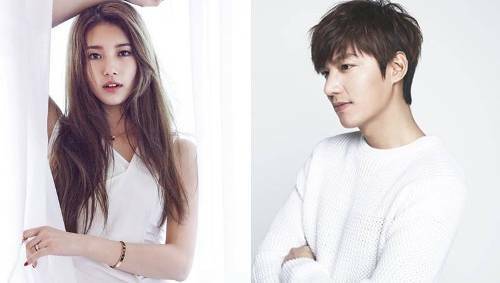 The most prominent one is probably the Lee Min Ho-Suzy couple. Despite of the-agency-plot-commotion that remains going on over this pair relationship, I’m pretty sure that there is nothing rotten behind the Heirs’ star and national first love’s romance. The two “forced” to confirm their relationship after Dispatch camera spotted them on a romantic date in London some time ago. Not long after the news come to the surface, Suzy asks for public’s support and love for the couple when she came to the set of Happy Together 3. Unfortunately I must ask the Lee Min Ho-Suzy couple to move aside as the movie stars couple Kim Woo Bin and Shin Min Ah is definitely deserves the title as to the hottest celebrity couple found this year. 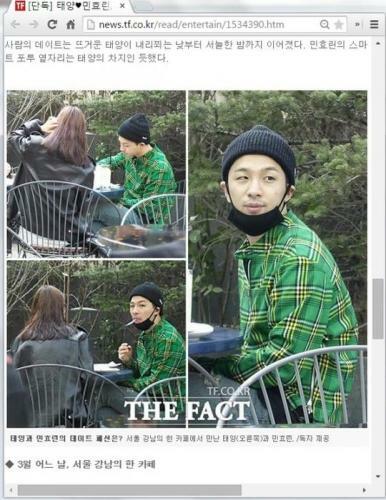 Other shocking (and quite sad) celebrities dating news broke out this year is my Kpop first love Taeyang Big Bang and Sunny’s star Min Hyo Rin. 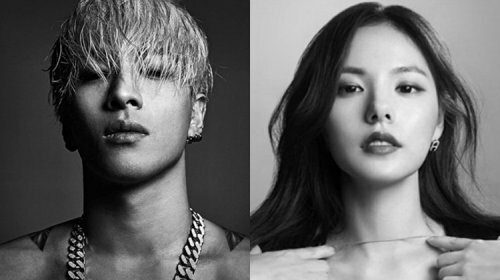 The two met on the set of Taeyang’s Music Video “1 AM” and confirm about their TWO-YEAR relationship last month. Taeyang said that the girl is his first ever girlfriend. ENVY MUCH? I know I AM. The two stars and talented vocalist announced their relationship to the public in February. 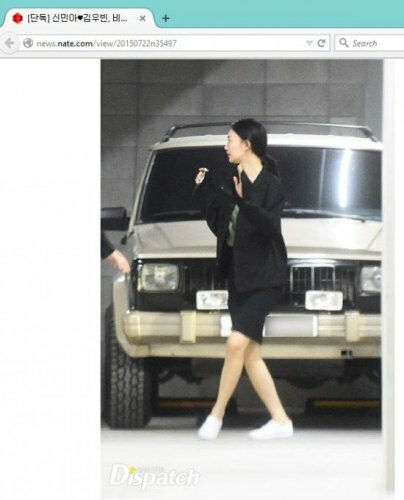 Similar to Youngbae and Min Hyo Rin case, the two had been together for over two years. Their baby will surely has beautiful voice, right?